Casella Wines, the family-owned wine company behind Yellow Tail, has moved into the beer market in Australia. 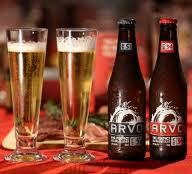 Its new beer, unveiled last week and called Arvo, will be made at a specially built brewery at the family site in New South Wales, which has the capacity to pump out 300,000 hectolitres, or about 50,000 cartons. In Australia the move is seen as the first significant threat to the foreign-owned brewers that control 90% of the Australian beer market – Lion Nathan owned by the Japanese conglomerate Kirin and Foster’s owned by the London-based SABMiller. Casella is however going to focus on the premium beer segment that, over the past few years, has had far stronger growth rates than standard beer. In reality the company is hoping the beer will take a 7% share of Australia’s beer market.